There's a new sketch at Freshly Made Sketches and I wanted to make a card straight away. I embossed the lower panel with a Stampin' Up embossing folder as it always makes me think of the weave of a baby blanket. The transition between to two parts of the card is made with a MFT stitched scallop border die. The paper pieced image is from IO and the sentiment was cut with Tattered Lace and SSS dies. I tried several colours for the sentiment, but none was quite right until I tried the black.. I'm not keen on using black on baby cards, but as I had stamped the onesie in black, it was the only choice which looked half decent. In the end it I think that it does make it pop! This is clean perfection! The black is totally perfect, I agree! Lovely card! Thanks for joining our celebration at FMS! This is so cute!! The embossing looks amazing and i love the cute little onesie!! Thank you so much for joinig us at FMS!! Hi Chrissie! I am such a push-over when it comes to embossing - this folder is new to me, and I adore it! 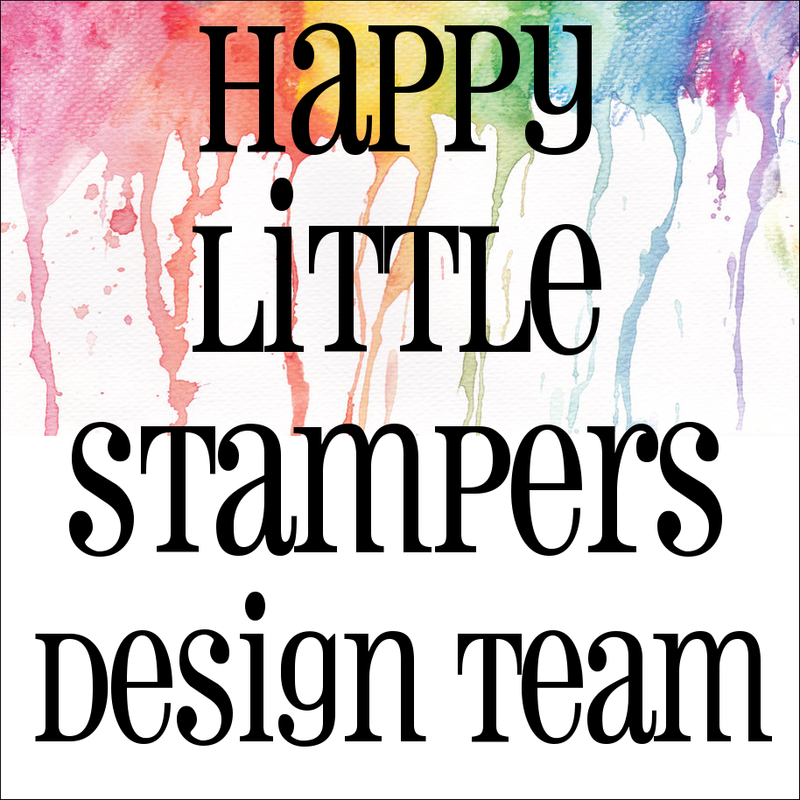 Perfectly chosen for your darling baby card! The embossing is fabulous....it does look like a baby blanket! Perfect to showcase that sweet onesie! So glad you joined us at Freshly Made Sketches to celebrate our 200th! Very nice card Chrissie. This embossing is wonderful! This is such a pretty baby card. I agree, the bottom embossing does look like a baby blanket weave, and it's perfect for this card. Thanks for helping us celebrate this week at FMS! All the elements have come together in the perfect baby card, Chrissie. Great design with fantastic texture!! 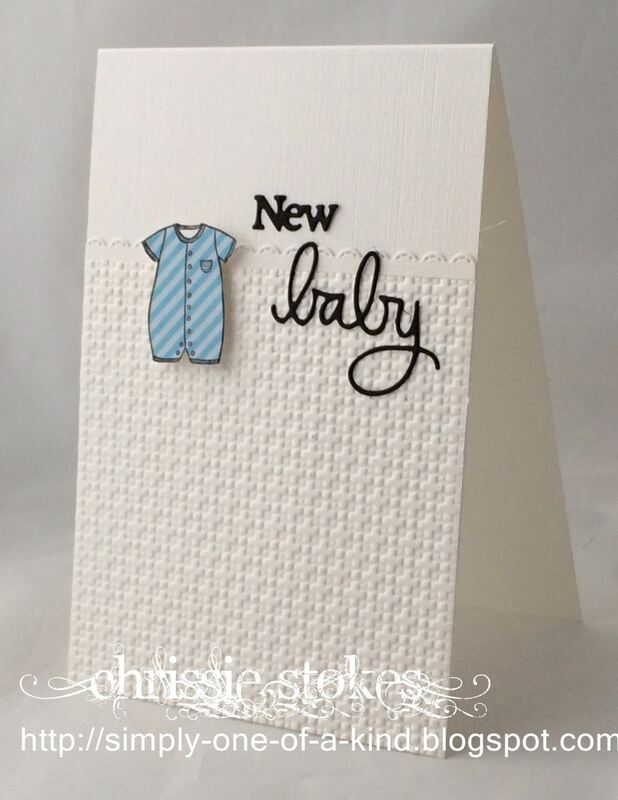 Love that cute little onesie and the embossing, Chrissie!!!! Lovely baby card - the black sentiment looks just fine!!!!! 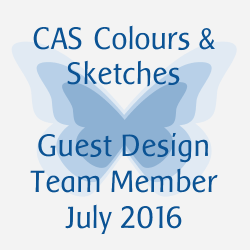 Your card caught my eye over in the Freshly Made Sketches Gallery and I wanted to come visit and see more! AND WOW - this is soft, lovely and perfect for the welcoming of a new little one!!! I really enjoyed visiting your blog and I would love it if you popped over for a visit to my blog at daisiesgirl.com!! I have a giveaway going on right now! A Sketch from Less is More!